Kat Gardiner fictionalizes the experience of opening and closing an all-ages music venue and café in the small Northwest town of Anacortes, Washington in 2008. An adult coming-of-age story told in fragments, Little Wonder explores the bittersweet love affair that takes place between despair and hope whenever you try with all your heart to do something you believe in, and fail. Out October 5th 2018 on Father/Daughter Records. 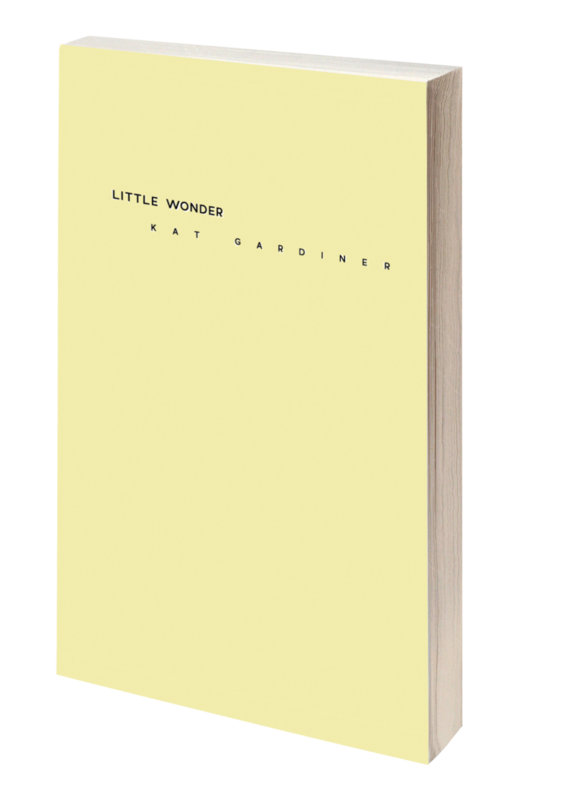 Kat Gardiner’s debut collection of microfiction, Little Wonder, springs from the year she spent in Anacortes, Washington. Young and idealistic, she and her husband moved to town to open a café and music venue in the hopes of finding a home there. The experiment lasted exactly one year. In interconnected fragments, Little Wonder reads like a series of love notes to a former self. Characters navigate frustration, loss, heartbreak, but they also come into new versions of themselves. Little Wonder sheds light on the idea that joy and pain are often two sides of the same coin — and that being alive in this world can necessitate embracing both. Order the book with the bandana to get a discount on both. Made in the USA, this super lightweight cotton bandana is discharge printed, leading to wonderful variation and super-soft feel. Designed by Portland artist Lettie Jane Rennekamp and featuring quotations from Little Wonder. Want just the bandana? Order it here.